Now that we are tucked up in Bramble Cottage I just can't resist strolling up the lanes and traipsing across the fields around our village to see what free food I can harvest. This week I went in search of elderberries but too late, the birds had scoffed them all. 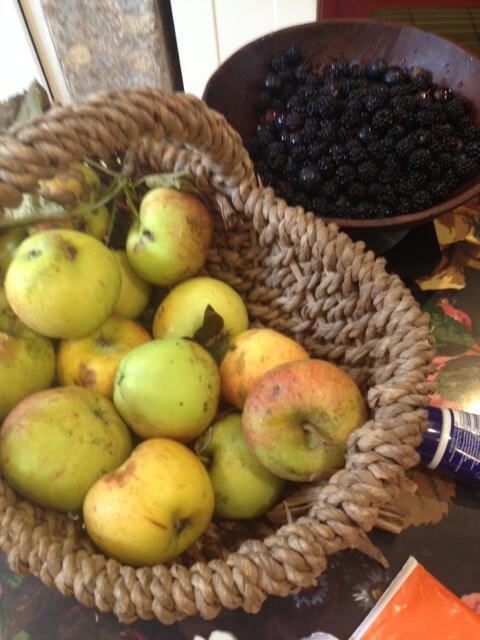 Instead there were yet more blackberries and a decent haul of bullaces, which are a kind of wild plum. 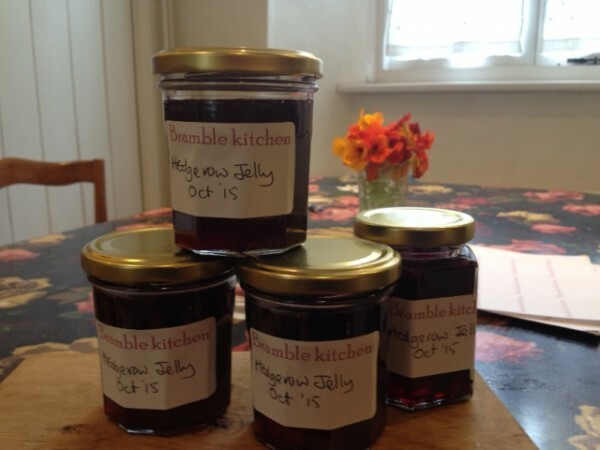 So along with the abundant apples from my garden I spent a brilliant afternoon making this sparkling jelly that is just gorgeous with roasts, cold meats or cheese, or just smeared on buttered toast. Pick over the blackberries and bullaces. Wash the apples. Cored the apples, but don't bother peeling them. Cut them into chunks. Put two small plates in the freezer. 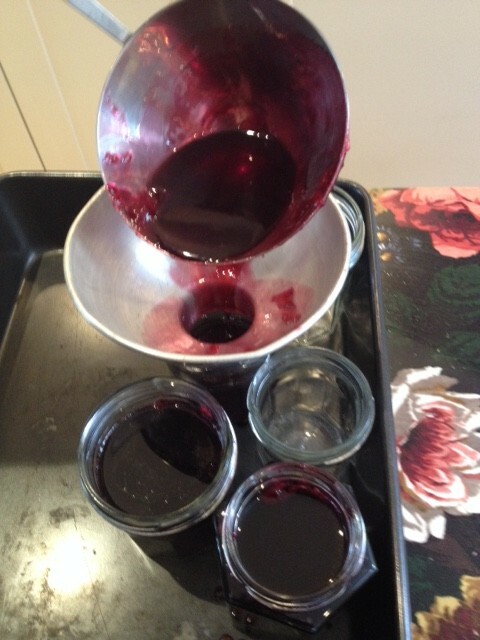 Wash 5 small jams jars and put in a moderate oven for 10 mins. 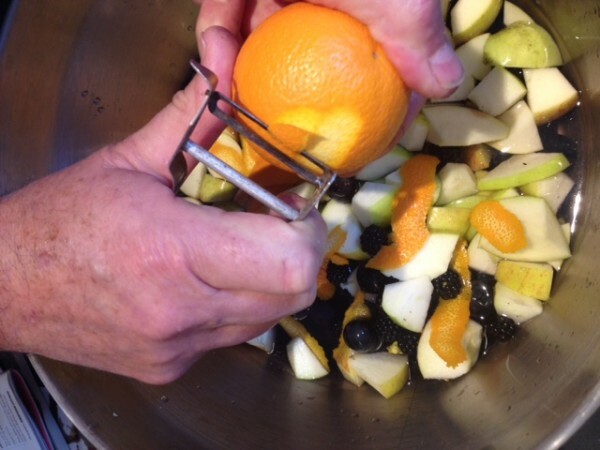 Tip all the fruit into a large pan and pour in the water. Add the cinnamon sticks, pared orange rind and juice. 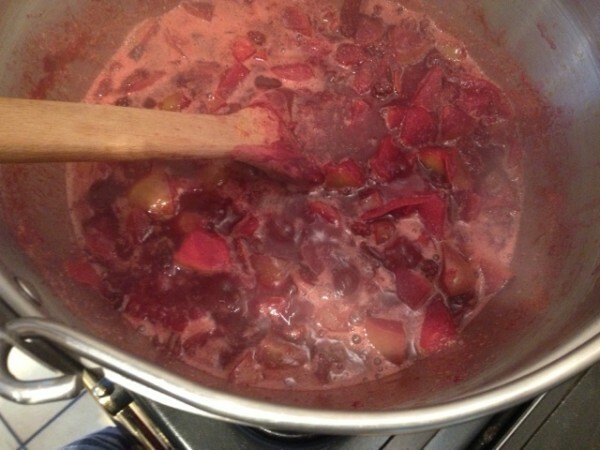 Bring to the boil, then reduce the heat and simmer for 30-40 mins until all the fruit is soft. The next day measure the juice that you have collected and pour it back into the pan. 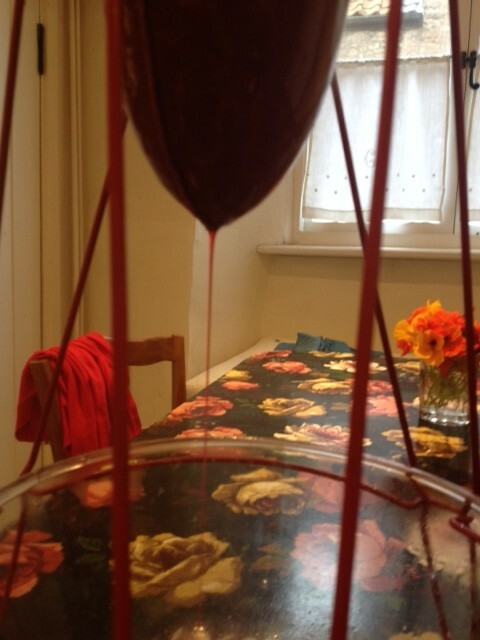 For every 500ml of juice add 400g of sugar. Bring to the boil, stirring to dissolve the sugar, then increase the heat and boil hard for 5-15 mins until setting point is reached. 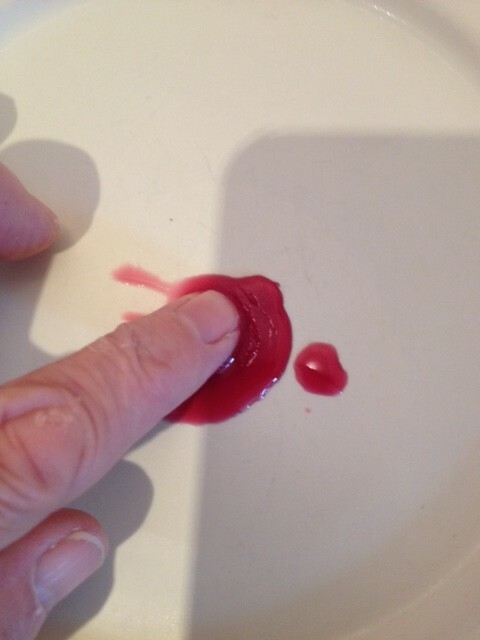 To test for set spoon a little of the jelly onto one of the plates you put in the freezer. Cool for a few seconds then push your finger through the jelly. 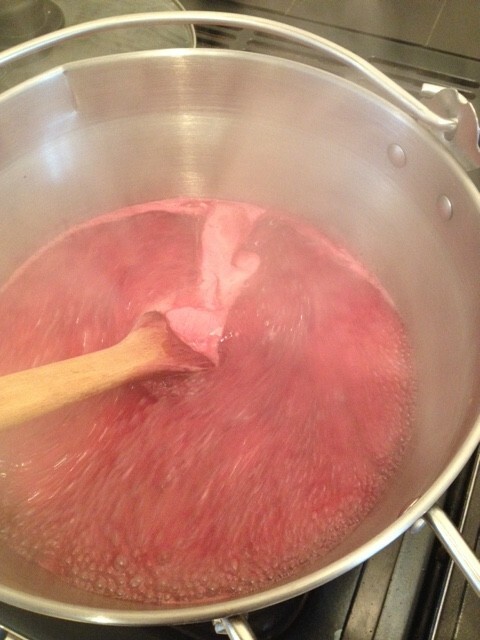 If it wrinkles slightly the jelly is set, if not boil for a couple of mins and test again until you are happy it has set. 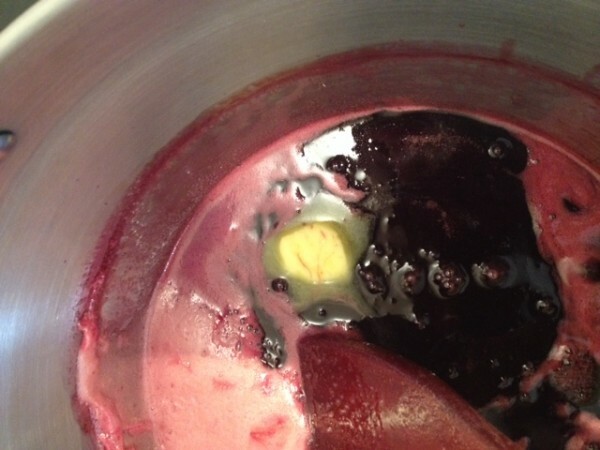 Add a small knob of butter to the jelly to help dissolve and scum. 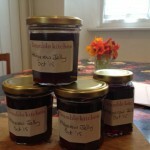 Add the lids, label the jars and store your jelly in a cool dark place for up to 6 months. 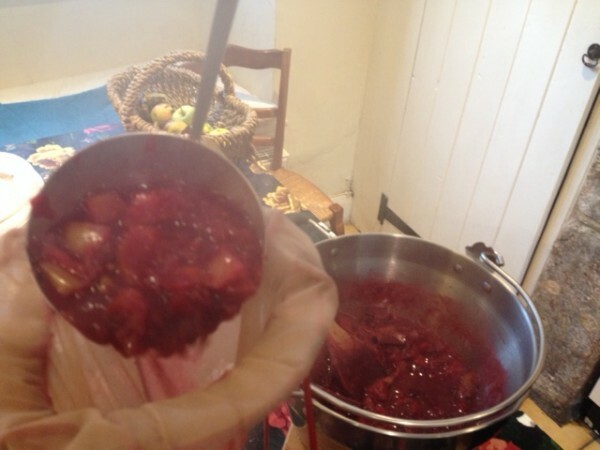 This entry was posted in preserves and tagged autumn, blackberries, bullaces, foraging, hedgerow, jelly, preserving, roasts on 18th October 2015 by marycadogan.